When you file any bankruptcy, it’s very easy to get caught up in the here-and-now. There are appointments with your lawyer, credit counseling requirements, paperwork to gather, and perhaps tax returns to complete and file. At the same time you may be coping with creditors’ phone calls and letters, maybe applying for mortgage modification, and perhaps changing bank accounts or taking care of other financial chores. There’s a lot of activity, a lot of paperwork, and lots to do. Then, when your case is filed, what next? 1. The Meeting of Creditors. Everyone who files bankruptcy has to attend this short administrative hearing. You can actually watch a Meeting of Creditors online, but it’s basically a short hearing covering some basic questions, and perhaps some questions about the property and debt that are unique to your situation. The date and time for the Meeting of Creditors will be mailed to you within a few days when your petition is filed, so watch for it in the mail and put it on your calendar. Your attorney will also have it if you don’t receive the notice. Attendance at one of these hearings is mandatory except in very limitedcircumstances, so if something comes up talk to your attorney as soon as you know there’s a problem. And that problem should be like you are hospitalized, or you have a death in the family, not like you woke up and it’s raining and you don’t feel like going, in case you’re wondering. 2. Complete the Financial Management course. Remember doing the credit counseling before bankruptcy? Well, this is part two of that. You can go back to the same provider, or someone different. You can pick someone who is trying to help you gain some financial stability, or you can pick the fastest and cheapest option. You can do it as soon as your case is filed–you don’t have to wait until after the Meeting of Creditors to do it. But, you MUST have it completed within 45 days after the Meeting of Creditors, so don’t procrastinate. 3. Reaffirmation Agreements. If you have secured debts, like car loans, you may want to protect your rights to retain the collateral by reaffirming the debt. Most of the time (at least with major commercial lenders) you or your attorney will receive a proposed agreement soon after the case is filed. If there are debts that you want to reaffirm, and you haven’t heard from them by the time of your Meeting of Creditors, your attorney may send them a formal offer to reaffirm. Whether you should or should not reaffirm, and what happens either way, is beyond the scope of this article. Suffice it to say that reaffirmation are one of the last decisions you will have to make about your debt after your case is filed. 4. Wait for the Court’s deadline to pass to receive your discharge. 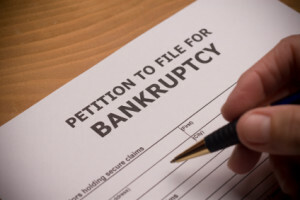 When you file a Chapter 7 bankruptcy, your creditors have a short period of time within which they can file an objection to your discharge, or ask the court to except certain debts from discharge. The circumstances that give rise to such objections are rare, and most people don’t have to worry about that, but everyone has to wait until a deadline passes (usually 45 days after the meeting of creditors), for the issuance of an order of discharge. In the vast majority of Chapter 7 cases, the case is closed at the same time. From start to finish, most cases take between five and six months. Now, the timing set forth above is for so-called no-asset cases, cases in which the trustee finds that there are no assets to administer. Since 95% of all Chapter 7 cases are “no-assets,” that’s a fairly safe assumption, but be aware that if the trustee is liquidating assets, your case may not close as quickly. And, you can receive your discharge (the court order that says your creditors can’t try to make you pay) while the trustee is still administering assets. Discuss how that will unfold with your attorney if the trustee decides that there are assets he can sell. There are always other factors that my cause your case NOT to be handled as set forth above. I’ve mentioned assets; other factors include complaints of creditors, objections by the U.S. Trustee or creditors, or even just requests for additional information if there is something unusual about your case, like unusually high income or expenses, or unusual debts. There is also the slight (very, very slight) possibility that your case could be randomly picked for an audit, which might mean gathering even more information. But, remember that’s why your attorney has you gather up so much information in the first place. With the right information, your attorney can predict how your case will most likely proceed, warn you of any potential problems, prepare you to testify, and otherwise ease your passage through bankruptcy. Each bankruptcy case is different, and things could arise in your case that are not typical. There is no substitute (not even this excellent blog post) for staying in touch with your attorney, responding to her requests, and listening to her advice. When you have that final discharge in hand, it will be worth it.